A panic attack can come as an unpleasant surprise, often after someone has experienced a traumatic event. Panic attacks can be frustrating, but it’s important to keep trying new coping methods until you find what works best for you. 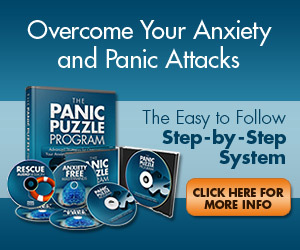 Read about some ways you can deal with your panic here. What Should You Do While Having A Panic Attack? Once a panic attack has you in its grip, you may feel like it’s too late to do anything about it. If you’ve ever experienced a panic attack for yourself, you know how unsettling it can be. Come read about how you may be able to prevent panic attacks and what you can do when you find yourself in the middle of one. Is Your Teenager at Risk for Panic Attacks? Teens have a lot to deal with today, so it’s easy for them to feel overwhelmed from time to time. When a teen also has to deal with panic attacks, every other aspect of his or her life can be affected. This article will provide information from researchers on factors that make a teen “higher risk” for panic attacks. Panic disorder may not seem like something a child or teenager would have to deal with, but kids can suffer from panic just as adults do. Read to find out how to a child with panic disorder experiences the condition. For people who are diagnosed with COPD, anxiety can also be a health concern. Managing symptoms of anxiety and panic is therefore very important for people with COPD. Come read what researchers have concerning COPD and panic attacks. Having panic disorder isn’t easy, but with proper resources and support, you can still enjoy a healthy lifestyle. Find out what experts have to say about panic attacks here. If you’re familiar with anxiety disorders, you probably already know that many of them share some common traits. Research shows that people with phobias and people who have panic attacks may have more in common than you would expect. Read about it here! Does Having Panic Disorder Endanger Your Life? Like all mental health conditions, panic disorder comes with its own set of unique challenges and complications. Sufferers of panic disorder and their loved ones have access to more information on the illness, but many are unsure about the risks that comes with having it. Read more about the topic here. Can Virtual Reality Help with Panic Disorder? How Does Social Anxiety Affect Eating Habits? Distorted Thinking 101: Does Lack of an Exclamation Point Means He Hates Me?